The availability heuristic is a common cognitive error that influences our ability to make accurate decisions. It is operating full-force whenever we base a decision upon evidence that is easily available (i.e. dramatic, obvious, easily measured) but that may not actually reflect reality. In practice, this means that we pay more attention to evidence that is salient (obvious and dramatic) and tend to ignore evidence that may be more compelling but not quite so sensational. 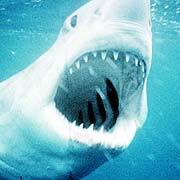 Take for example, shark attacks. The feeling that shark attacks are far more common and that we are at greatly inflated risk than we actually are occurs because of the extensive and sensationalist media coverage that a single shark encounter attracts. As a result, when you consider going to the beach this summer, an image of a shark pops into your mind because such an image is highly available to you. 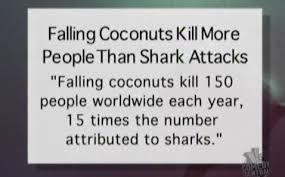 However, while shark attacks can and do happen, an examination of the actual risk is much lower that our perceptions lead us to believe. 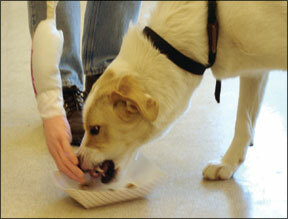 Background information: Food-related aggression (FA) is a specific subtype of resource guarding in dogs. It’s expression can vary in intensity from a dog who simply shows tenseness near his food bowl, to freezing, growling, or biting a person who interferes with the dog while he or she is eating. Most of the standardized behavior evaluations that are used by shelters and rescue groups include an assessment for FA. For reasons of safety, many use a fake plastic or rubber hand that is attached to a long stick for this test. Although procedures vary somewhat, the test for FA involves interfering with the dog while he is eating from a bowl, first by placing the fake hand into the bowl and pulling it away and then by attempting to push the dog’s face away from his food by pressing the instrument alongside the dog’s face. The validity of this test, meaning its ability to correctly identify dogs who do (and do not) truly have FA, is an important issue because dogs who exhibit FA during a behavior evaluation are almost always identified as an adoption risk, which can lead to reduced opportunities for finding a home, and at some shelters, to automatic euthanasia. 2004 Study: Despite its ubiquitous inclusion in behavior tests, few studies have actually examined the reliability of the fake hand test for FA. A few years ago, a group of researchers at Cornell conducted a study with dogs who had a history of various forms of aggression, including FA (1). They found a positive and statistically significant correlation between showing an aggressive response toward the fake hand and previously exhibited aggression in the dog. However, the relationship was weak and a substantial number of dogs who were NOT aggressive also tested positive (i.e. reacted to the hand) when tested. The authors recommended the use of caution when using a fake hand in behavior tests because of the high number of both false positive and false negative responses that they found. A limitation of this study was that because the researchers used dogs with a known history of different types of aggression who were already in their permanent homes, they could not make conclusions about the predictive value of the test. To do this, we needed a study that examined how well the fake hand test, when administered to dogs in a shelter environment, correlates with dogs’ future behavior when living in homes. Such a study was published in September, 2013 in the journal Applied Animal Behaviour Science (2). 2013 Study: Dr. Amy Marder and her colleagues at the Center for Shelter Dogs in Boston, MA tested a group of 97 dogs using a standardized canine behavior evaluation that included a test for FA. Dogs showing extreme aggression or multiple forms of aggression were excluded from the study for ethical and safety reasons. Following testing, all of the dogs were adopted into homes. Adopters of dogs who showed food aggression (FA+) were provided with additional instructions for handling the dog during feeding times, but the dogs themselves received no additional training or behavior modification prior to adoption. Adoptive owners were surveyed to assess the dog’s behavior in the home at 3 days, 3 weeks and 3 months following adoption. Results: Of the group of 97 tested dogs, 20 dogs (21 %) reacted aggressively to the hand and were classified as FA+; 77 dogs did not react and were identified as FA-. Of the 20 dogs who were classified as FA+, approximately half (11/20, 55 %) were reported by their owners to show food-related aggression while in the home and nine of the FA+ dogs (45 %) showed no signs of food aggression when in the home. Of the 77 dogs who were classified as FA-, the majority (60/77, 78 %) were also FA- when in their adoptive homes. However, 17 dogs from this group, 22 %, did show signs of FA when in the home, even though they had tested negative for FA while in the shelter. A final result was that the majority of owners of dogs who were showing FA in the home reported that they did not consider their dog’s behavior to be problematic and that they would definitely adopt the same dog again. 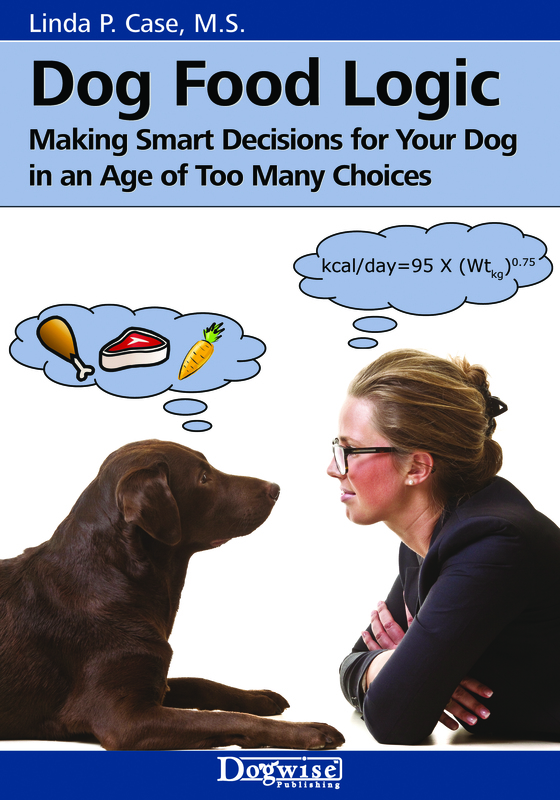 The authors found that the negative predictive value of the test was high since 78 percent of dogs who tested negative in a shelter environment showed no food aggressive behaviors when in their adoptive home. (This is good). The positive predictive value of the test was low since only 55 percent of dogs who tested positive in the shelter environment showed food aggression when in the home (This is bad). Owners may perceive food-related aggression as much less problematic than do shelter staff and may have little trouble managing dogs who are reactive around their food bowls. If that information does not give you enough to chew upon, let me contribute an additional question to this controversial (and apparently quite polarized) topic. What do these data say about the test itself? There is really no question that the data presented in this study, along with the Cornell study, suggest something additional. Realizing that this is a sacred cow to those who are highly committed to their fake hands, I offer up the suggestion that perhaps the fake-hand test is not measuring what its users think it is measuring. (In other words, it is not a valid test of FA). 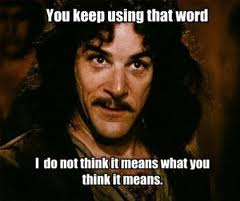 This test that you keep using…….. Fake Hand Test Sensitivity = 39 % This means that 39 percent of the time, the fake-hand correctly identified FA in the dogs who actually had it. The flip side of this statistic is probably more important. It also means that almost 2/3 of the time (61 %), the fake-hand either incorrectly identified a dog who was FA- as being FA+ or missed the identification and labeled a dog who was FA+ as being FA-. Although sensitivity values are considered to be a relative measure, I do not think anyone would try to argue that 39 percent success rate signifies a valid test. (Especially in light of the fact that a positive result for this particular test can mean the end of life for the dog). Fake Hand Test Specificity = 87 %. This means that the majority of the time, if the fake hand says a dog is non-reactive around his food bowl, it is correct. Only 13 percent of dogs who tested FA- actually had FA. While this is a desirable value for the test, high specificity alone is not enough. Supporting data? This was not the first study that has examined the use of the fake hand in behavior evaluations, but it is the first study that has measured the predictive value of the test. It is important to note that to date, there are no published studies that provide data showing that using a fake hand to diagnose food reactivity in dogs is a highly reliable test. None. Which begs the question – Why do temperament tests that are used with shelter dogs continue to include the fake hand as a test for food aggression? 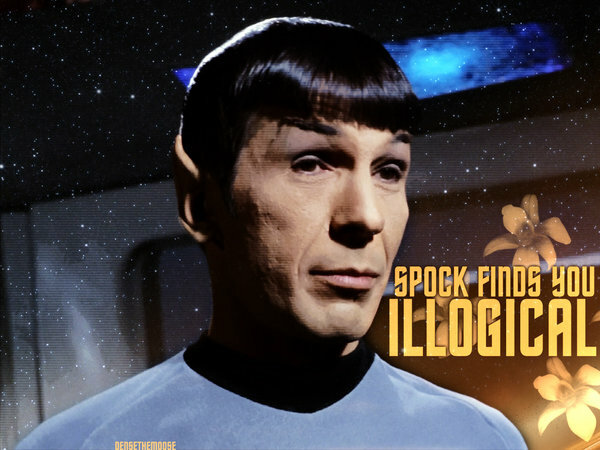 Seems a bit illogical, doesn’t it? It is simple and measurable: Unlike much of what we do in behavior and training, the Fake Hand test is pretty easy to administer and to score. Therefore, it is a shoe-in for being included in a battery of tests that can be quickly administered to a lot of dogs and by personnel who have varying levels of expertise. The use of the fake hand is well-established: Many, but not all, of the behavior assessment tests that are used in shelters today include a test for FA that uses a fake hand (3,4). Many of these tests are highly standardized and include specific training programs for shelter staff who administer them. However, while proponents of the fake hand insist that a set of clear and very specific steps are used in the test’s administration (i.e. how far to stand away from the bowl, how many times the dog’s face is pushed, how to manipulate the bowl), such protestations are a moot point since none of the specific guidelines for administering the tests have been validated either. The results are dramatic and salient – i.e. AVAILABLE: A dog who reacts aggressively when a fake hand is shoved in his face while he is eating provides us with an example of the availability heuristic in action. Aggressive responses in dogs elicit dramatic and involuntary reactions in those who witness the response – a rush of adrenaline, a bit of fear, perhaps even a little bit of the “stopping to watch a car wreck” feeling, if you will. Just as we react strongly (and illogically) to reports of shark attacks, so too might an evaluator react emotionally to an aggressing dog. The fallout is that the aggression that is provoked by a fake hand during a behavior test may acquire more significance than it actually has in real life. (This is supported by Dr. Marder’s results when interviewing owners of FA+ dogs, who did not see FA as such a big deal). And, because the provoked aggressive response in the dog is dramatic and obvious, the evaluator now feels compelled to do something about the reaction that was provoked – special adopts, no adopt, euthanize. 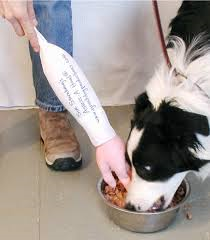 Here’s a bombshell….Perhaps poking a dog in the face with a fake hand while he is eating in a shelter environment is not a valid way to test for food aggression: The sensitivity statistic of 39 % suggests that at least some (if not the majority) of dogs who react when tested with a fake hand are not showing FA. At the very least, this paper and this particular statistic suggests that the presumed test for FA using a fake hand is not testing for the thing that proponents think it is testing for. Additionally, the availability error may lead those who regularly administer this test to assign excessive significance to FA because of the salience of provoked responses in the test and highly inflated perceptions of risk to owners. Given that the fake hand test leads to decisions that severely reduce a dog’s chances of being adopted into a home or may even result in the death of the dog, this is a possibility that must be raised and considered. Kroll TL, Houpt KA, Erb HN. The use of novel stimuli as indicators of aggressive behavior in dogs. Journal of the American Animal Hospital Association 2004; 40:13-19. Marder AR, Shabelansky A, Patronek GJ, Dowling-Guyer S, D’Arpino SS. Food-related aggression in shelter dogs: A comparison of behavior identified by a behavior evaluation in the shelter and owner reports after adoption. Applied Animal Behaviour Science 2013; 148:150-156. Barnard S, Siracusa C, Reisner I, et al. Validity of model devices used to assess canine temperament in behavioral tests. Applied Animal Behaviour Science 2012; 138:79-87. Taylor KD, Mills DS. The development and assessment of temperament tests for adult companion dogs. Journal of Veterinary Behavior 2006; 1:94-108. And found it interesting and with relevance to the “Toddle Doll” that is used in dog temperament tests. It seems to be both a more realistic doll than that which I have seen used for dogs, as well as the chimps apparenty not resppnding to the dol as a ‘human’ so much as an ‘interactive toy’. My attention to this article was drawn to me by a fellow member of a veterinary behaviour discussion group I am in after I raised concerns regarding the Fake hand test on an episode of Animal Cops Detroit on Friday 31st January 2014. I cannot say how old the particular episode I watched was, nor did I see the whole episode, just one particularly distressing part involving a temperament test on what was being promoted as a lovely dog. 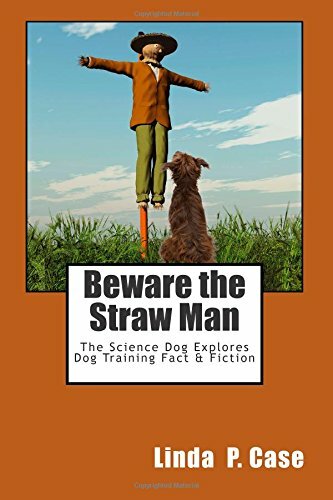 The staff used the fake hand attached to a broom handle, touched the dogs back first. It froze and immediately I could hear the change in tone of the testers (indicating from your article the rise in adrenalin, I feel). The testers continued to prod the dog with the fake hand about 8 times, both prodding the dog and placing the hand in the bowl, with each occasion showing a harder freeze. On the 9th prod and invasion of the food bowl the dog struck with one bite of the hand. The testers continued then to prod and poke the dog and its bowl, no more bites, just harder freezes. Eventually the dog lay down over the bowl in a full on freeze. All the while the “excitement” levels of the testers was quite audible (to a person who knows what they are looking for), as they were attempting to justify the fact that this dog would have to be euthanized due to what they termed as severe food aggression. The main tester broke down in tears following the test as the dog, now separated from its bowl came to her for attention seeking cuddles and all warm and fuzzy soft faced. But they were adamant this dog would have to be euthanized because they could not risk this dog being re-homed as it could potentionally bite its owner or a child. I saw a dog that was desperately trying to signal “leave me and my food alone” and it was pushed and pushed to the very brink and then some more. The provocation given to this dog was huge, unnecessary and unjustified…..with the outcome being the unfair death of a lovely dog. Given the fact that the dog clearly showed restraint while it was being pushed to the brink, this dog could well have been worked with and even may well not have had an issue in a home environment. After reading your article I had a light bulb moment with the way the testers behaved – just made sense the way you have explained it. Wonderful post! I agree with the findings that this ‘awesome test’ is not so awesome. Case and point: my Willow. I adopted her from a shelter when she was 5 1/2 months old, with no warnings on food aggression. Truth be told, she is mildly food aggressive, but not with people! She has no problems with people messing with her or her food while she’s eating, but she did have an issue with the cats being curious about her food. She was worse than she is now, she used to growl and snap, but I worked with her to PROVE to her that the cats just wanted to smell and not eat, which has worked very well. She will tolerate the cats to come near but when she feels they’ve had enough time to satisfy their curiosity she gently nudges them away from her food. Similar goes for dogs, she’ll jump them ONCE as a warning(usually just as I realize the other dog is to close to her and her bowl), they (my other three dogs) have learned to leave her bowl alone regardless of her proximity, over time she has got to the point where she will let them walk by or get close but will body block or curl her lip if they get too persistent, and that’s all she’ll do now. In my opinion Food Aggression, should not be a deal a breaker, but I respect those who think it is. It can be managed or even worked with to lessen the severity if not disappear entirely. Willow is now 4 years old just so you know it’s not an overnight process. I feel that ‘food aggression’ tends to be learned behaviour, not innate behaviour. A lot of the ‘old advice’ that used to be given to help overcome food aggression was likely to make it worse. The humans where the pups were whelped should have prevented to problem at weaning. When I had pups , any show of food agggression and THAT pup would get picked up and put at a distance from the food bowl. The pups soon learned to share. And i might be talking through my hiat, but I believe that MOST dogs with food aggression can be trained out of it. I have read of and seen videos of the ‘fake and test’ and been alarmed by them. For a start why would a dog equate a plastic/rubber hand on a stick with a human hand? I decided that in my ‘pet dog classes’ I would need to include ‘pound proofing’ as well as child proofing. Most of the dogs showed an initial wariness when they were ‘presented’ with the fake hand! These were with dogs who were NOT hand-shy! So the first thing we covered was ‘not being afraid of a fake hand’. I only ever ask my dogs politely before I take their food away from them 🙂 And dogs can be trained to accept this. I would think better to test the prospective adopters and not release any dog to a family that expects that anybody should be able to summarily molest a dog while it is eating. “Perhaps poking a dog in the face with a fake hand while he is eating in a shelter environment is not a valid way to test for food aggression: ” This sounds like common sense to me. My dog is not food aggressive at all but if he was in a stressful, strange environment and a stranger poked him in the face with a strange object while he was eating – who knows how he would react? Hell, if it were me I would probably yell at the strange thing or push it away! I hope that we can find a better way to really assess food aggression. Lives depend on it. Thank You! Great post as always! So glad I took Biostats this year! 😀 I understand how to work the numbers! Also, I was recently helping with some behaviour tests at a shelter, and I really was thinking “I wonder how accurate this test is……..” I was actually thinking of the smell of the hand, and how that might affect things. Thanks again! Thank you for an extremely thought provoking post. I have thought about it most of the morning and it has brought these questions to the surface: 1) Have there been any studies conducted on the correlation between FA and other types of resource guarding? Dr Marder’s study asked owners to identify if their dogs were showing only FA in the home post adoption. I wonder if the dogs who tested as FA+ in the shelter showed other types of resource guarding in the home (regardless of whether the owner noted that the dog was FA+ or FA- in the home). 2) Have there been any studies about FA that had a longer follow up period then 3 months? Would be interesting to note what behaviors were shown a year or more after adoption and if the results from the 3 month follow up stayed consistent after a year or more. 3) Did Dr Marder’s study indicate what types of homes the dogs in the study went to? Homes with no children, small children, older children, experienced pet owners, not experienced pet owners? FA may not triggered, but it could certainly still be present – and depending on the stressors in the home, may or may not present itself. Of course the goal is to get a dog into a home where the behavior isn’t triggered and isn’t a problem, or it’s managed so well, its isn’t a problem. There can be a wide variety of behaviors shown by the same dog depending on the appropriateness of the home it is in and this could made a significant difference on whether or not the dog showed FA+. in the home after testing FA+ in the shelter. 3) Forgive me if you already answered this one – I thought you had but when I read back through I couldn’t find it : Are the other, more scientifically reliable ways for testing FA that have been recommended for dogs in a shelter situation? How else would shelter staff assess whether or not a dog has FA and the degree of potential severity? Thanks for your lengthy and thoughtful reply. One lingering question: I noticed on Lisa’s post that you both discussed the sliding scale for severity of FA but that for the purposes of validating the diagnostic tool of the fake hand, a “yes” or “no” classification for FA had to be used. Any idea on specifically which behaviors fell under the “yes” category and which behaviors fell under the “no” category? Since there is such a wide range of behaviors shown in FA from very mild to very severe, it would be interesting to know where the cut off was. Thank you…. I don’t think I’m FA+, but if someone poked me in the face with a fake hand while I was trying to eat I would sure as heck swat it away. Who wouldn’t? But, I agree and think that this study went a long way towards at least stirring up some needed discussion about the validity of this test…..
Harriett reminded me that when we were fostering we bought one of those fake hands and used it to desensitize our fosters to this test. There had been some false positives and we didn’t like our fosters getting a bad rap. Hi Tom – An interesting approach, for sure! And, as this study showed, false positives are definitely occurring with this test. Thanks for posting! You need to throw in the “toddler doll being leaned over by an *strange* (aka weird) person and bopped along the ground towards the dog” too. Thanks for the blog post, super interesting! I read your summary and went back to the study to read the full text – and think you captured the study well and explained it in a way that is accessible to those beyond the scientific community. As another commenter pointed out, the binary system of FA+ or FA- does lose out on the nuances of the other behaviors captured in the assessment (growling, lunging, biting, etc. ), and I think those categories would be an improvement to possibly tease out what types of behaviors would be more or less likely to be seen in the home and perhaps provide a way to direct our caution about the results of the assessment. Additionally, I didn’t see this in the study but did you see a table with dogs that show FA on the bowl AND bone and whether they displayed in the home compared to those that just showed FA on one of the items? Lastly, while I worry this might sound like “what can two trainers agree upon about another trainer” type comment, when I was reading the methodology of how the FA assessment was conducted, I was surprised there wasn’t a re-test built into the protocol. (Of course, maybe there is and it wasn’t mentioned.) When I managed a behavior program at a shelter in NM where we had a food guarding program in place, over 1/2 the dogs that initially tested for FA did not do so on the re-test. My opinion would be that – if a re-test isn’t occurring – there very well may be dogs labeled as FA that may have not demonstrated it in the shelter again, much less the home. Of course, we also found in the year that I was there that dogs that demonstrated moderate to severe aggression on the food bowl AND food item did not respond to our modification protocol, particularly generalizing to strangers! Hi Lisa, Thanks for your post and great comments! I agree that excluding the highly aggressive dogs could skew results, but also understand the author’s justification for doing so. And, you are probably right that those would be the dogs most likely to show resource guarding behaviors in the home, which would then result in a higher value for the test’s sensitivity. (However, it is also likely that a fake hand would not be needed to diagnose them!). Still, one would then conclude from the study that the fake hand as a test for mild or moderate FA is ****, rather than the more inclusive “FA in general”. I also agree that FA exists along a continuum and these nuances are definitely important for both placing dogs and for treatment/management outcomes. However, and I personally think this is a really important point, the fake hand test is being promoted and used as a diagnostic tool. And as such, an animal either has the condition or he does not when testing for presence/absence of a condition. Certainly dogs who are FA+ could then be graded with a sliding scale, say 1 to 5 of intensity, but for the purposes of evaluating (validating) the diagnostic tool, we still need the “yes or no” classifications in order to get at the tools reliability. Not to put too fine a point on this, but several folks have written to say that when they use the Fake Hand, they use if for information purposes only, or for safety, or to measure FA intensity. All of that is fine and dandy – but it is not what this study was measuring. There is a difference between a subjective evaluation that provides information and a set of highly standardized tests in which the dogs is graded with assigned numbers or a pass/fail score. It is the latter type of behavior tests that have not been validated (and they need to be if their proponents are going to promote them as being diagnostic tools). Although I of course cannot presume to speak for the authors, it is the latter also that the paper’s objectives state that the study was attempting to do. Regarding differential responses to the food bowl and/or the bone: Good question, as I think we all would agree that generalized resource guarding is a more concerning problem than bowl guarding alone. Interestingly, the numbers for each were not reported – would be a very good question to ask the authors, I think, as now you have me wondering about this too! Ditto on your retest question. I may know the answer, but am not certain. I did communicate with Amy about her study when I was working on this blog piece, and she told me that the actual test data were retrospective, and consisted of dogs who had recently been tested using the shelter’s standard battery of tests (The Match-Up test). So, if these were retrospective data, it would explain this to some degree (although does suggest that that particular shelter, unlike the one that you managed, does not do a retest as part of their regular protocol). Last, I know this is getting long, but I want to emphasize, and I think I speak for the majority of dog folks, regardless of opinions of the fake hand and FA testing, that the job that shelter and rescue professionals are forced to do is tremendously difficult, especially when they have limited resources, limited time, and limited housing space and have to make these horrifically difficult decisions about the dogs in their care. After all, they are not the creators of the problem of these dogs ending up at their shelter – they are doing the very best that they can to help as many dogs as possible. So, even though many people may question the use of the fake hand as a diagnostic tool, that is not meant to be any sort of indictment against the people who care for dogs in shelters and through rescue groups each and every day of the year. (Sorry for so long, but I needed to get that off my chest! :)) Thanks again for your thoughtful comments, Lisa. So glad to have you participating! Great article! I always enjoy seeing your blog appear in my email. In reading the comments above I would like to suggest viewing the documentary Shelter Dogs. It is probably a reasonable example of the use of the fake hand and the weight of the decisions that can result. I agree that the test may likely be testing for something other than what people believe it is testing for. Dogs don’t perceive the world the way we do. Just because it looks like a hand to us doesn’t mean a dog experiences it that way. For example, I wonder if FA+ who were later classified as FA- were in a single dog household and if so might they have exhibitied FA+ tendencies in a multi-dog household? Or maybe only towards the other dog. Not to mention that, as described above, this includes a range of behaviors that might be so subtle as to exhibit itself as “since Fido came to live with us Rover doesn’t eat his food and Fido eats both”. Dogs communicate a lot to each other in ways that are a mystery to us still. Perhaps the test does indicate potential FA though not in the way we think it does. This example isn’t intended as a supposition, merely as a thought exercise. Nonetheless any question that causes us to reevaluate our own behaviors and procedures, ask more questions and search for better answers is more valuable than gold. Thank you. Hi Larry, Thanks! I am glad you enjoy the blog! I agree that there is at least a reasonable chance that dogs are reacting to the fake hand for what it is – a fake hand. And, of course, the people administering the hand are going to behave differently when the dog reacts (i.e. the hand STAYS in the bowl even though the dog is obviously freezing, posturing, or even snarling/biting). And, the change in environment from shelter to home (and certainly going to a multiple- vs. single-dog home, as you mention) is very important of course, which is why the fake hand (or perhaps even any type of FA test) in a shelter environment may not be a reliable predictor of resource guarding in homes. I agree that Shelter Dogs is a good documentary, but still caution that the techniques used by the shelter staff in that video have not been validated. Last, I think your final sentence is gold, itself! One of the reasons that I chose this topic for this week’s blog is the observation of how tremendously polarized the use of the fake hand as a test for FA has become in the dog world. It continues to amaze me how attached people are to their hands :)……pun intended, while others attack those who use it as if they are dog haters. If we can step away from our cherished beliefs (and egos) and try to make well-supported decisions for our dogs rather than use tradition or the blind following of the latest dog guru, my humble opinion is that we and our dogs will all benefit. Nuff said……Off of soapbox! Thanks again for following and for all that you do to make dogs lives happy and fun! Going far beyond just the fake hands, that perhaps characterizes the behavioral momentum and polarization we see in trying to change any approach, or even in getting two groups to agree on methods. At a local municipal some may gently defend the method, but those who are SAFER certified have made enough of a personal investment that they become very upset when it is questioned. And as the animal rescue area is rife with emotion, many people become polarized rather than questioning and thinking about any protocol. If you find some way to have them “…step away from our cherished beliefs and try to make well-supported decisions…”, I’d love to hear it. So I believe your “soapbox” hits the crux of the issue here. Hi Gerry – Thanks for all of your thoughtful and helpful comments to the blog! I am glad that you are here and participating! I agree completely that the crux of the issue is trying to get folks (who understandably are highly invested in caring for dogs and are highly emotional about how to best do that) to look at evidence and try to make well-supported decisions, rather than go off the of the emotional, fad-following deep-end….. Thanks again for your notes – I am reading all of them and appreciate them, even if I do not respond to all! Excellent info! I despise the fake hand and have never used in an evaluation. In my experience many resource guarding behavior fall way once the dog is in a home environment, some times with little modification. Hi Ann, I am glad that you mention the reductions in resource guarding once the dog goes into his/her adoptive homes as I think with all of the hype over the fake hand, this point is often lost. The reason that I believe the availability heuristic is in operation is that the ability to “measure” (although inaccurately, it appears) FA leads to an inflated perception of its importance as a behavior problem. As humans, we pay attention to those things that are obvious, and so the test itself (and its dramatic results in some dogs) can cause shelter staff to place too much significance upon resource guarding as a problem. One of the most important results that the Marder study showed, imho, is that even when FA did occur in the adoptive homes, the vast majority (more than 95 %!) of the owners said it was not an issue for them. This of course begs the question of why the presence of FA is used so heavily as a criterion for adoptability……which then brings us right back to examining the test that is used to diagnose it. Thanks for posting and for reading – I am glad that this blog is stirring up discussion! – It seems to me a major flaw right off the bat to think you can label a dog either FA+ or FA-. I don’t believe it’s that black and white. I think it’s a continuum, and that would totally mess up the data. (I don’t consider myself food aggressive, but if every time I ate dinner someone came up and harassed me, I might eventually punch them.) So it’s no surprise to me that a dog might be FA in one situation and not another. And if a dog is seriously FA you don’t even need to use the fake hand. Just being in the same room with them and food is all the info you need. – It’s also no surprise to me that a lot of dogs rate FA+ in the test but are not reported to be FA+ by their adopters. How many adopters sit and poke their new dogs in the face while they eat, esp after they have been *told* they have FA? I have a dog that was apparently FA when I adopted him. I’ve had him for 2 years and I honestly can’t tell you if he is FA now because I just give him his food and let him eat it — no problem. Adopters are right — it’s usually not that big of a deal. Unless . . .
– What if there are little kids in the home? People criticize the fake hand test because it is provoking the dog. But that is exactly the kind of thing a toddler might do to a dog. – I’m not convinced about the availability error applying here, although I can only speak for myself. It didn’t take doing very many fake hand tests before I stopped getting excited about a dog showing FA. That’s the whole point of using the fake hand: if I had to use my real hand, I’d feel a lot different about it. 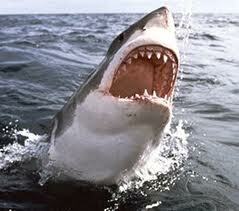 I understand why people react strongly and illogically to shark attacks. How many do you see? But if you are doing FA tests every day, you see dog teeth quite regularly. It’s just not that exciting. My guess is that for shelters the issue is much more about liability than availability. – I do think the fake hand test is useful (until someone comes up with something better) to give us an idea of where the dog is on the continuum. I use a scale of 1 to 5 (1 = you could take food away from this dog if he was starving to death, 3 = average dog who eats faster because he’s in a stressful place and a stranger is messing with his food — and eating faster is considered FA, 5 = don’t even think about coming near this dog as he growls and snaps the food down). – I absolutely agree that it is a travesty that anyone should use this test to make life or death decisions about a dog. I think FA is one of the behaviors most easily modified. Thanks for your interesting blog! 1. Agreed that dogs show varying degrees of FA. However, the objective of the Marder et al. study was specifically to test the reliability of using the fake hand as a test for FA in shelter dogs; a test in which it is indeed used as a +/- test (although in reality there is definitely some room for interpretation). Because the study is measuring its use as a diagnostic tool, it was part and parcel of the study design to reflect the way the tool was used in the behavior test. Sure, they could have used a scale measurement to score FA, but that was not how the test was being administered. One must always be extremely cautious about applying a research study’s results to other situations – the situation that you and many people use the fake hand is not the same way in which it was tested in this study or for the question that this study was asking. 2. This was the entire point of the study……to examine what dogs who tested positive in the shelter did in the home. The reserachers (and readers have various explanations for the results), but the entire point WAS to count responses and examine the tool’s ability to accurately predict outcomes. (Also, I did not report this for lack of room, but many of the owners WERE interfering with their dogs while they were eating, even having been instructed to not to. Remember – The objective of the study was to examine the validity of the fake hand test as a predictive tool for FA in the home)..
3. Availability error: This error occurs when someone inflates their expected risk based upon exposure to sensational stimuli. Again, you may speak for yourself personally, but in general, the exposure to a dramatic event increases the chance of this error in people, on average. 4. Agree completely about the continuum, although I personally wonder why a fake hand is needed in the majority of cases. Regardless, this is not the question that the study was asking or that I was discussing in the blog. Please keep in mind that the study authors, nor myself, were dismissing the use of the fake hand outright. Rather, the objective of the study and of my blog, was to raise the question of the efficacy of testing for FA with a fake hand, in a shelter environment, where the test is used to make adoption and euthanasia decisions. It was NOT to address all uses of the fake hand. Again – thanks for your post and for following – I am always happy when the blog stirs things up a bit and gets folks discussing important issues, even if we all do not always agree! Interesting post. I have a question about the sensitivity & specificity tests results. They seem to contradict each other, but maybe I’m not understanding the statistics. The sensitivity result seems to say that 2/3 of the time the test incorrectly identified FA in dogs (either + or -), but the specificity results seem to indicate that the test correctly identified dogs who were FA- more than 3/4 of the time. Could you explain this a litle more tonight at the Holiday party? Hi Pam – Ahhh…… Love interacting with other stats geeks! 🙂 Sensitivity is the number of actual positives that a test identifies out of all of the actual and missed positives, so it tells you not only how many of the FA+ tests were actually FA+ dogs, but also the proportion of FA+ that you missed and called FA-. To calculate it is: TP/TP + FN. (11/11 + 17) = 39 %. It gives the probability of when a dog tests as FA+ that the dog actually IS FA=. Specificity is the same, but for a negative test – it provides a probability for dogs who test as not having FA to actually being FA-. Would love to talk to you more about this later! Your explanation of the terms used in statistical analysis really helps make what could be a confusing-to-interpret research study easier to understand. Your article is such a good reminder to be cautious in how we interpret findings. I appreciate that you acknowledge the importance of testing shelter dogs for FA but that the current fake hand test may not be the best test for the reasons you cited. Is there is another test with higher sensitivity? So, for me, this begs the question…do we throw the hand on a stick out or do we continue to keep it in our tool box and realize that there are potential faults. And should it show us a potential FA+ Dog, simply know that this is something that needs to be explored further and not necessarily a death sentence for the dog. Because seriously, it’s just not that difficult to work with a FA+ dog. For me, the hand on a stick is not the issue. There are many other issues here. How is the tool used? What do assessors do with the info obtained? How much training has the assessor had? Where do we go from here? I feel there is value in this tool. It gives me information. I would much rather err on the side of caution. If a dog shows the potential to be FA+, I want to get that dog into the right foster home who has the skill set to deal with it. If he’s not truly FA+, it will become evident quickly and we have done no harm. But if he is, work can begin. Of course, the scenario I present is much less “final” than would happen in a kill shelter. As always, Miss Science Dog, you have given us great info and have started the critical thinking. What do you feel are possible alternatives to this evaluation method? Hi April, Great comments, as always. (Hmmm……have we had this conversation before? :)). Everything that you say is reasonable and suggests a use of the fake hand that is more flexible than its inclusion in a standardized battery of tests. The way that it is currently used is as a provocative tool – it is placed into the bowl, moves the bowl, then pushes the dog’s face. Dr. Marder’s study showed that this particular use of the fake hand was not predictive of FA in the home. This suggests that a better test is needed (simply tethering the dog, walking closely but not provoking would probably be enough to elicit body language changes in dogs who had resource guarding issues, for example). The reason that this is such an important issue is that, in your work with rescue dogs, you use the information to determine which foster home the dog goes into (in most cases, of course there are the occasional highly aggressive dogs who are not placeable – that is a given). You are not generally making life/death decisions on a single, provocative and unvalidated test. The other issue and one that I think is so important about Dr. Marder’s results (and something that you also mention) is that FA is NOT such a big deal in most dogs. It can be treated in many cases and managed in almost all. Here we have a strange case of the “experts” saying something is a huge problem that warrants special adopts or even killing, while the owners themselves are saying, “hey, it is not an issue; we manage it!”. So, why the heck would shelters insist on continuing to use a tool that shows very poor reliability, ther results of which can lead to killing a dog, for a problem than is not even perceived as a problem by most owners? These data suggest that we need to find another test and that we need to stop over-emphasizing FA as a problem in these dogs. What was the background of the owners who said FA was not a problem? Had they owned dogs before? Did they have children? What was their socioeconomic status? I ask because I used to work in Boston and the dog owning populace in Boston is very different from the dog owning population here in DC. I have heard from several people looking to adopt here that they will not tolerate a dog growling over their food bowl, and we have had dogs returned for that issue. So while the information is interesting, I think drawing the conclusion that “dog owners don’t mind FA” is quite a leap. Hi Alison, That information was not reported in the paper. Regional and demographic differences may certainly be important factors to study, of course. However, this particular study was conducted at a single shelter in the NE and the study groups were probably too small to tease out any demographic differences. A study that included multiple shelters would help to identify such differences, if as you hypothesize, they are significant.